Mothers Helping Mothers--Katie Can Do! You know how you connect with someone right away? That happened to me when I met Sarah Hull. Except for one thing...we've actually never met. We've been blogging buddies for years and I just adore her. She is real, honest, darling, and has such a hopeful and loving attitude about life. I knew her brother-in-law during my college days and even spent a summer performing with him. This also meant I knew her husband (MAN...I still remember the first time I ever saw him. He was hobbling around campus on crutches and he was SO CUTE) by association. Just an acquaintance, really. So when we connected through the blog world it was fun to have some mutual friends. She has been so sweet and encouraging to me since Lucy died. She runs a fabulous business and entire boutique in Southern California called Little Penelope Lane. She sent me loads of darling headbands a few years ago. And when someone this wonderful asks you to feature them on your Mothers Helping Mothers Monday--of course you say yes! But I'm not here to talk about her darling boutique, or her blog, I'm here to talk about something much more important. 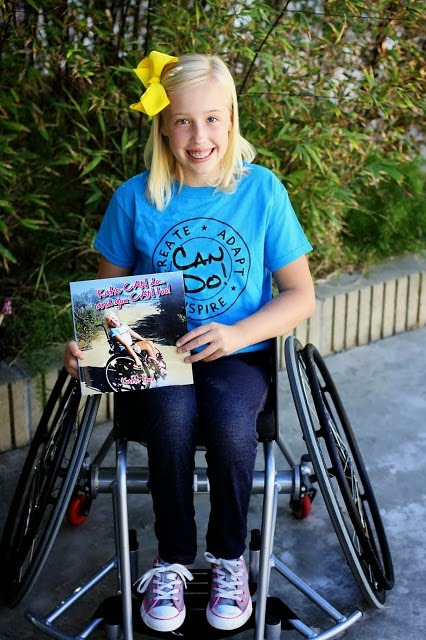 Sarah has a daughter with Spina Bifida. And this daughter of hers, this precious, precious girl, has written a book. I cannot wait to get my copy and read it to my kids. Please, please, please watch the short inspiring video below and order a copy for your family. What lessons we can teach our kids when they learn that everyone is special and unique? That though someone may look different, they have a story to tell and a beautiful soul. We are capable of so much more than we think we are. If Katie Can do...You can too! Wow, what an amazing girl! Thanks for sharing her story and her book with us! THis is adorable. What a sweet, strong spirit! And lovely family! What a darling girl....she will go places...that one will!! My new motto is: you never know how strong you are until being strong is the only option you have. She could be depressed, sad, sit at home, do nothing, but no....she is being strong, happy, uplifting to others, brave, joyful, active and all the other things that kids should be doing. She spoke of adapting and she's sure done a fine job adapting to her limitations but they don't limit her at all. What a girl!!! I think that this is really inspiring! My sweet older sister Sarali also had spina-bifida and she did her best to not let it limit her. I think that this is really cool and inspiring! 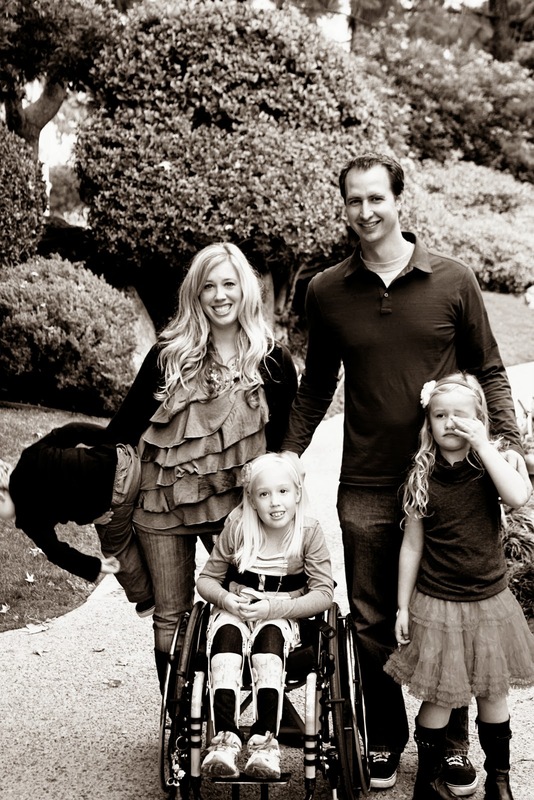 My sweet older sister, Sarali, also had spina bifida and she was very much the same way, didn't want to let it limit her. Thanks for sharing! You go Katie!